No one would be more surprised than John Vernon McGee at the worldwide response to his country preaching, with simple ways and endearing mannerisms. We honor Dr. McGee’s courage to answer God’s call, but we give God the glory for the generations of lives changed through the preaching of His Word. As a student pastor, Dr. McGee's first church sat on a red clay hill in Midway, Georgia. It was there he said he received his greatest compliment: "It was from a country boy wearing high buttoned, yellow shoes. After a morning service he came to speak to me. He groped for words, then blurted out, 'I never knew Jesus was so wonderful!' He started to say more but choked up and hurried out of the church. As I watched him stride across the field, I prayed, 'Oh, God, help me to always preach so that it can be said, I never knew Jesus was so wonderful.'" John Vernon McGee was born in Hillsboro, Texas, in 1904, the son of very poor parents. At age 14, "Vernon" lost his dad to a cotton gin accident and his mother moved him and his sister to Nashville, Tennessee. Through the investment of significant mentors, Vernon was able to attend college and then seminary. 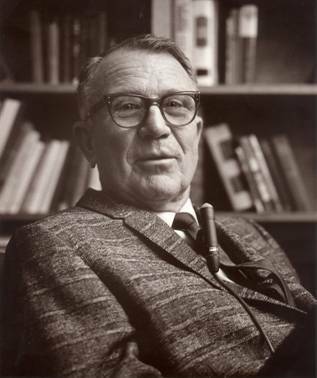 After completing his education (earning degrees from Southwestern University in Memphis, Tennessee; Columbia Theological Seminary in Decatur, Georgia; Dallas Theological Seminary in Dallas, Texas), he was the pastor of churches in Decatur, GA, Nashville, TN, and Cleburne, TX. It was in Cleburne that Vernon met Ruth Inez Jordan and fell in love with her at first sight. He proposed on their second date, and the two married a year later. Eventually, he and Ruth settled in Pasadena, California, where Dr. McGee accepted a pastoral call to the Lincoln Avenue Presbyterian Church. He recalled this period as the happiest in his life, with a young family and a young congregation whom he loved. In 1941, Dr. McGee was persuaded to begin a Sunday radio program, The Open Bible Hour, on just one station. It later became High Noon Bible Class, which laid the foundation for the 1967 launch of Thru the Bible as we know it today. Dr. McGee recorded the “Sunday Sermon” messages from the pulpit of the Church of the Open Door in Los Angeles, where he served as pastor from 1949 to 1970. After cancer surgery in 1965, the doctors gave Dr. McGee six months to live. The Lord gave him 23 more years. After retiring, Dr. McGee devoted his life to Thru the Bible. On any given day, you’d find him at the Pasadena office with an open Bible on his desk in front of a microphone. Dr. McGee and the Board of Directors planned in advance that the recorded 5-year program would stay on the air after Dr. McGee’s death. “Just play the tapes until the money runs out,” was Dr. McGee’s directive. On December 1, 1988, Dr. McGee fell asleep in his chair and quietly passed into the presence of his Savior. Today, the worldwide work of Thru the Bible continues through a small staff and the prayers and faithful giving of wonderful listeners—committed to keeping the Bible Bus traveling through the whole Word of God until Jesus comes. Listen to Dr. McGee's sermon, "Remember Jesus Christ"
Dr. McGee's farewell message given from the pulpit of the historic Church of the Open Door in downtown Los Angeles where he served as pastor for 21 years.